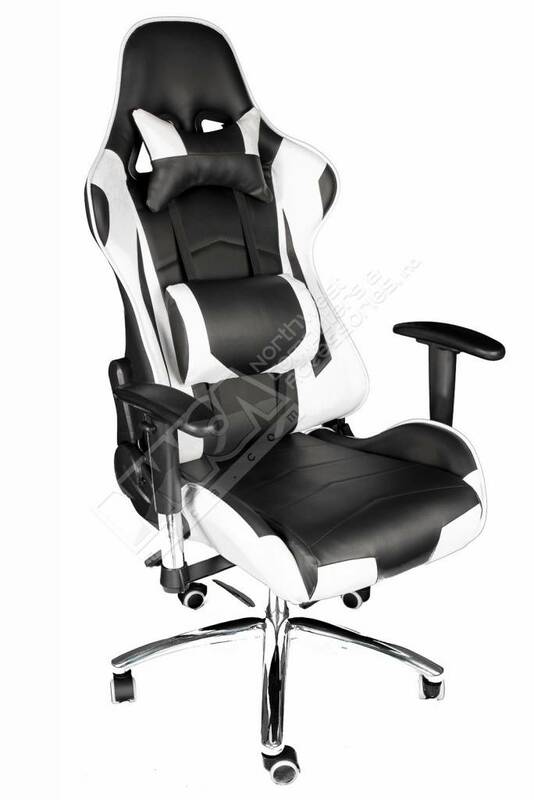 Black and White Leather High Back Ergonomic Racing Style Swivel Gaming Chair - NWCA Inc.
Having the correct ergonomic posture is important when seated for an extended period of time. 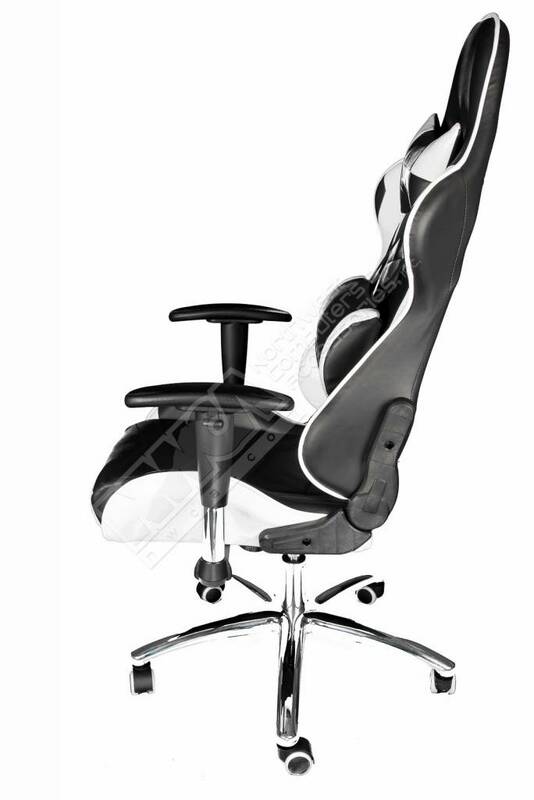 Seat adjustability makes sure every body type from different heights can adjust the chair to the desired height. 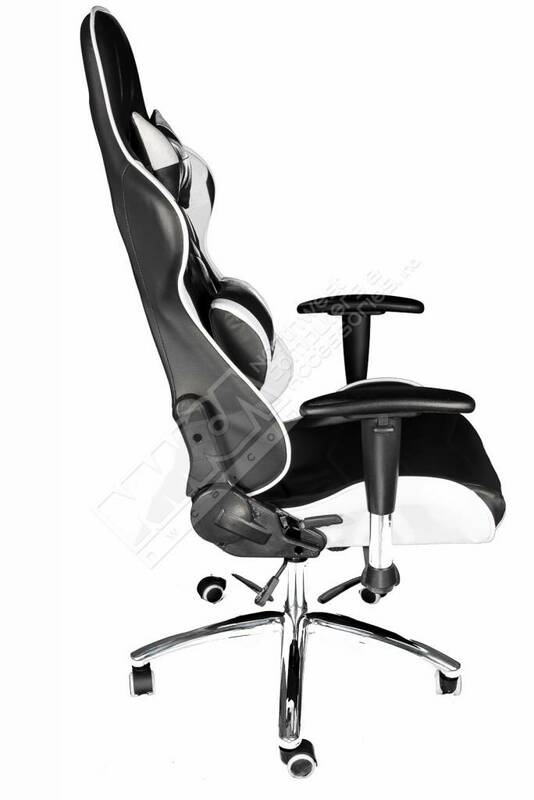 Also, a good range of height adjustability ensures you're at the optimum angle of relaxation at your desk. 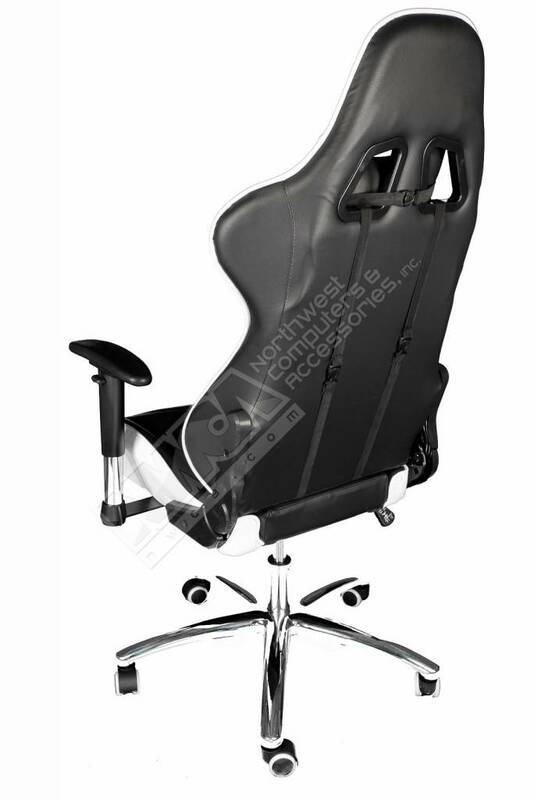 Featuring an angle-adjustable backrest to help adjust the sitting position throughout the course of the working experience (up to 180 degrees). 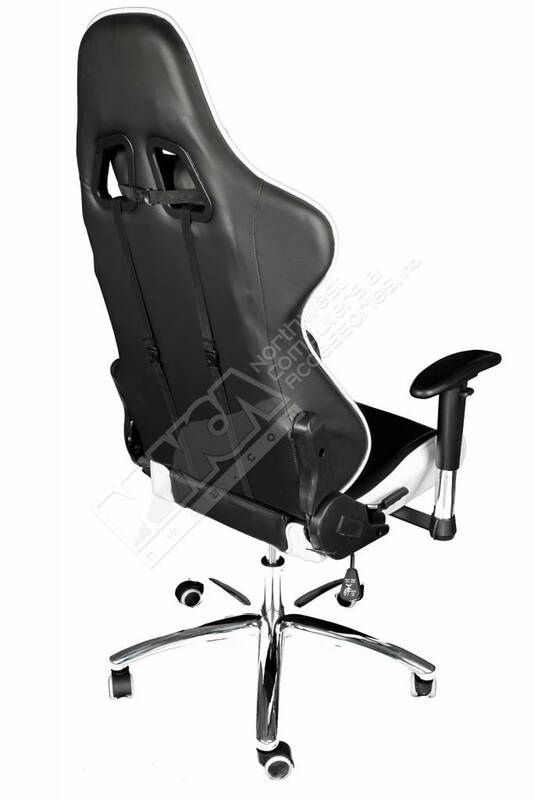 The adjustable tilt tension mechanism allows for an increase or decrease in tension by easily turning the knob underneath the chair to match the desired preference. This allows for rocking comfortably without much effort, reducing muscle fatigue. 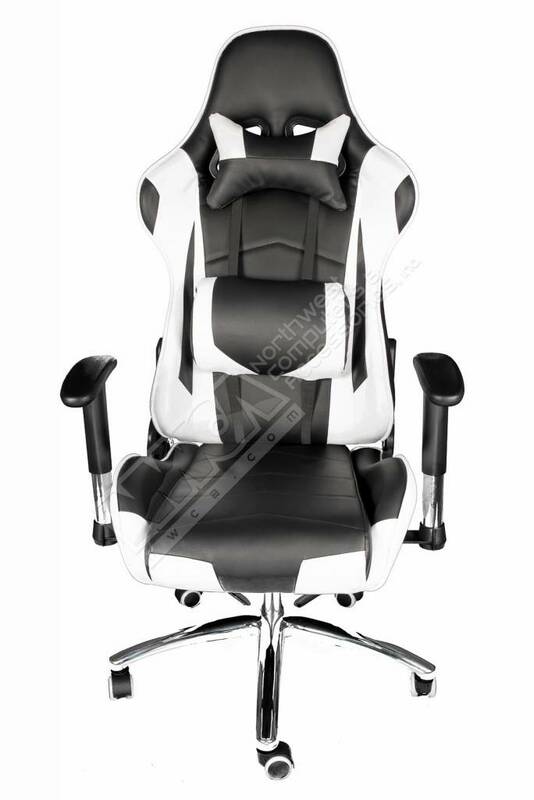 Armrests are designed with are comfort in mind. The armrest adjustment allows for a range of up and down positions. 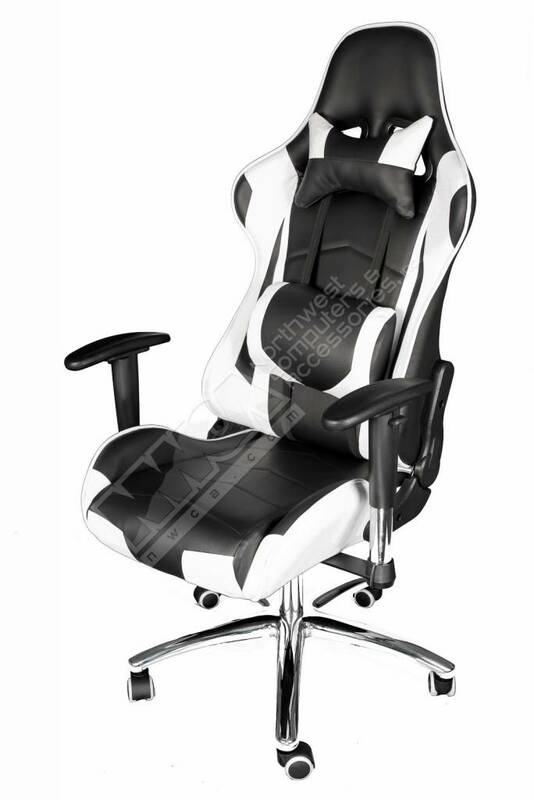 The padding is made from high density foam, which adds great support and seat comfort. The open-cell breathing structure makes sure that heat won't get trapped inside. 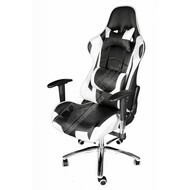 This gives great comfort, even when seated for an extended period of time. Wheels are formulated for quieter operation and easy of movement. 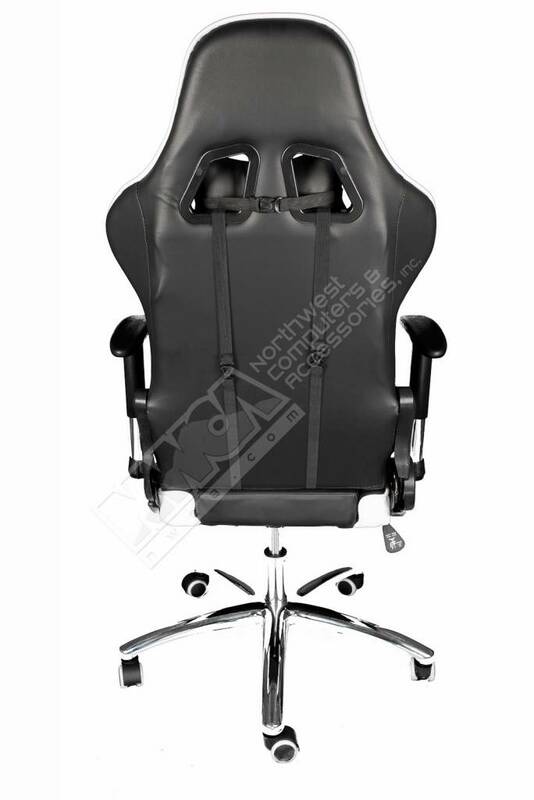 - Back: 22" x 33"
- Seat: 20.5" x 20"
- Adjustable Height: 18" - 21"